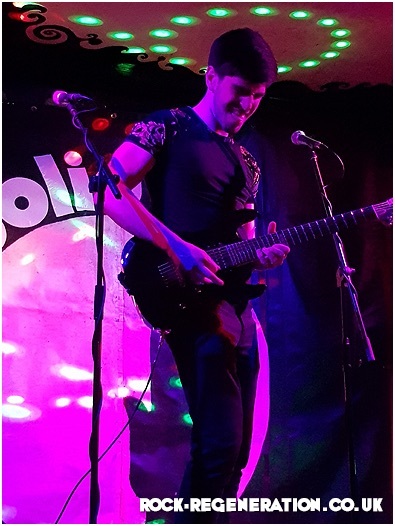 For most people, going out to a gig on a Monday night is not always the easiest thing to do; especially if you have had a difficult day at work and a busy weekend. 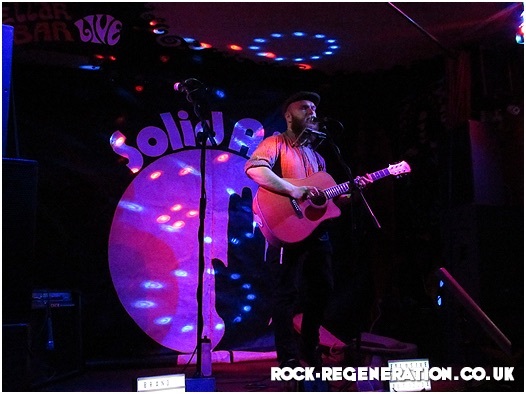 Chaplin’s in Bournemouth run a regular Monday night event called Solid Air run by local music champion Conrad Barr, who named the evening after an album by John Martyn. 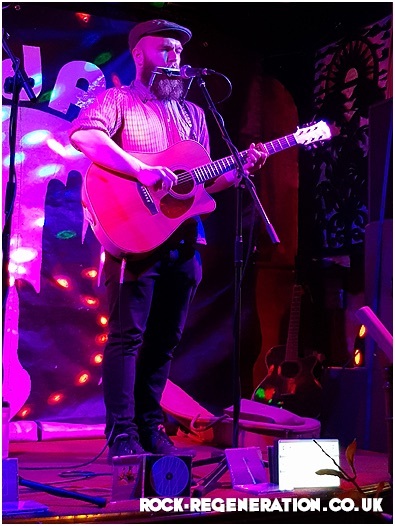 The evening is about nurturing and encouraging some of the best local, original singer song/writers and here in Dorset we are spoilt for choice with a plethora of them. These Monday nights always feature mouth-watering line-ups which aim to tempt music fans away from the comfort of their own homes. Tonight Conrad has put together a three-strong line-up of artists and I could not just sit at home while they performed. 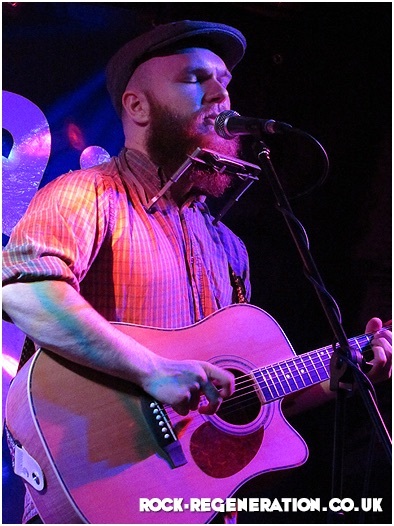 The first of these is Poole based singer-songwriter James Hook. I was recently given his new EP “Unlived Dreams” to review and was really impressed with what he had to offer. 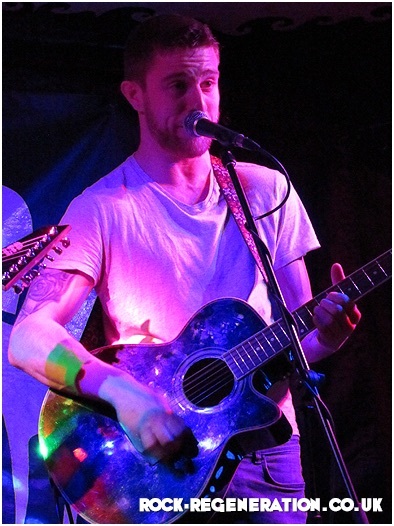 As James arrives on the Cellar Bar stage a respectful hush comes over as he starts to play his acoustic guitar. His voice has a real depth to it, though gentle it carries well and combines beautifully with his lovely deliberate finger-picked style of playing. There is a tune about the horrors of fox hunting from the point of view of the fox, with the hard-hitting line “bloodthirsty men with their cruel traditions”. It is such a privilege to hear his music in these intimate surroundings. There are also tunes from the EP including “Our Life (How Hard Could it Be)” and the brilliant title track which are played in an almost effortless way. What a great way to start the evening. 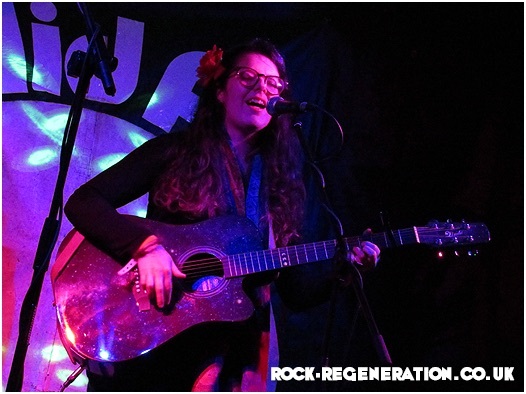 Next up is a young lady called Kimari Raven (known as Becky to her friends) who I have known for quite a while since seeing her perform at the now-closed “Centre Stage” venue in Westbourne. Also, Kimari took over from myself and Tim Heywood presenting the local music radio show “Live Wire Live” on Hope FM each Wednesday. It is difficult to listen to her sing and not fall for her unique style. Everything she sings is from the depths of her fragile heart, she personally takes you on a journey of the highs and lows of her life. The first number sends your heart into somersaults and uplifts you to the clouds above with a celebration of love and how it makes you feel invincible. Kimari has a unique simplistic guitar style which gently accompanies and allows more focus on her lovely vocal delivery. “She’s OK” tells of the difficulties of getting over a failed relationship, while “Sale of the Century” is the sequel of how things have moved on. Sitting here listening, I think that to any artist music is like having your own personal therapy session; it gives the ability to offload and reason with yourself while entertaining others. Kimari’s final number is called “Connected” and she is overjoyed to tell everyone that this is her first tune to appear on Spotify. The song is about love, space and the universe; as well as being inspired by her late Father. A great thought provoking set that made me deeply think of what music means to me – and just by writing these articles you should know it means everything. 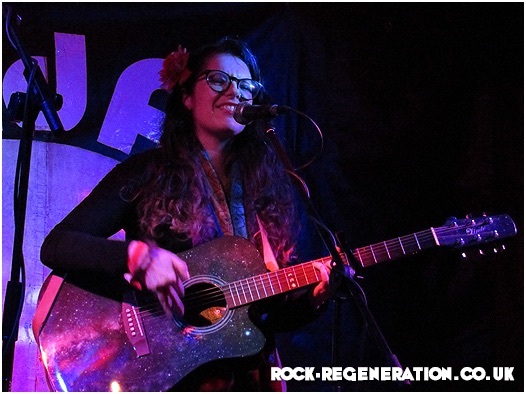 The final act of the evening is a duo fairly new to the scene and one that is most welcome, as they bring much enthusiasm and positivity. James Haynes and his forever faithful sidekick “Christo Loukopoulos” have been busy putting their debut 8 track album together called “Brand New Heights”. 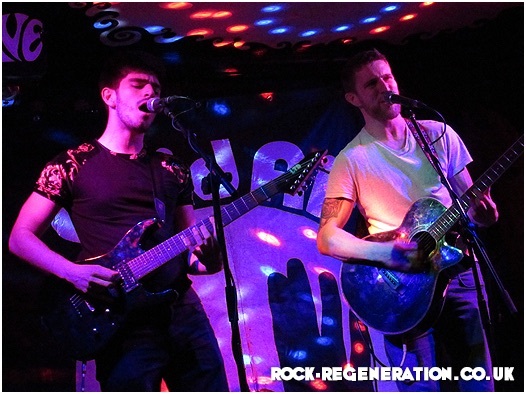 The duo combines electric and acoustic guitars to create a unique sound that provides a great backdrop for their original compositions. They waste no time in getting started; Christo with his 7 stringed Ibanez electric guitar (which he proudly tells me is signed By Alter-Bridge guitarist Mark Tremoti) and James with his six-string acoustic. We are treated to a host of tunes including tracks from the new album; as well as a snapshot into the future with some nicely crafted brand new tracks like “Home is Where the Heart is” and “The Storm”, which features some nice harmonization. These guys have not accomplished guitar players at this early stage in their musical career and they are by no means note-perfect; however, what they do have in abundance is potential. Their songwriting; along with their melody creation is strong, and best of all they have great chemistry on stage which is great to see. James put his heart on his sleeve during a number called “My Only”, which he dedicated to his partner Tamatha who is expecting their first child very soon. 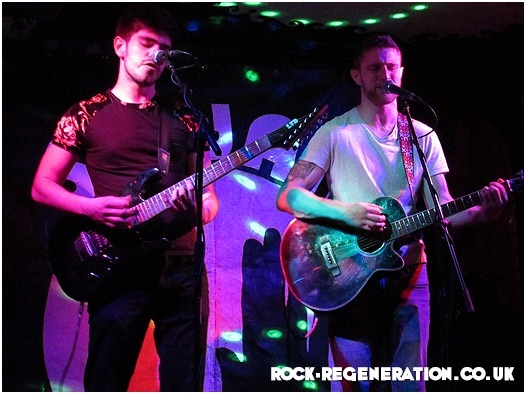 All in all a fantastic evening of local live music from three artists, that all come from the surrounding area. It may be a Monday evening, I won’t get into bed until after midnight and I may feel really tired tomorrow morning when the alarm goes off at 6:30am; but I am very happy to have been here and witnessed some fantastic music. 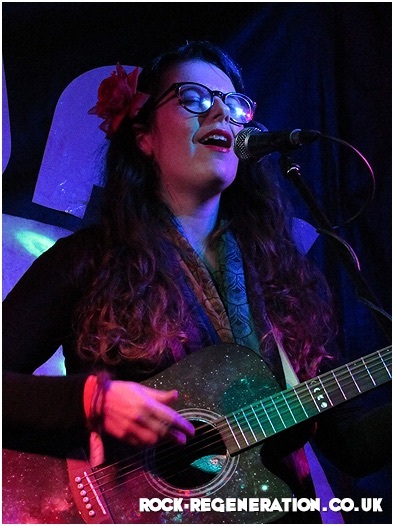 Words, Video & Pictures by David Chinery.